Here at ChiIL Live Shows, one of our new favorite songs is Alice Merton's "No Roots". It's crazy catchy and we hope if your roots are in Chi, IL, you have a chance to catch her LIVE tonight at her sold out Schubas show. If not, catch her on WGN tomorrow morning. 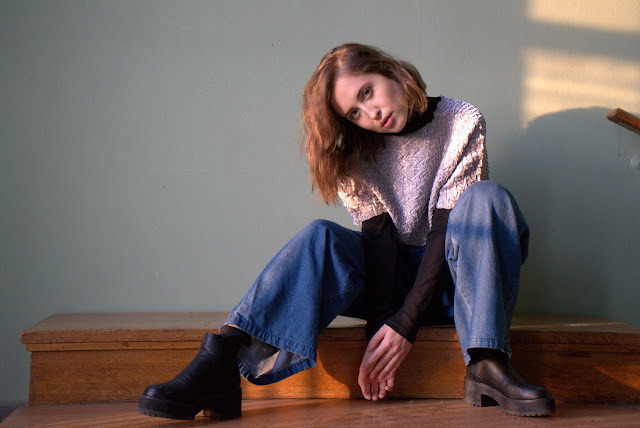 Today Alice Merton embarks on her fall U.S. tour. She plays a sold-out Chicago show tonight and will follow that with a performance on WGN-TV tomorrow morning. Alice will also play Good Day NY early next week. Last month she was featured In Billboard's 'chartbreaker' section which has previously featured artists such as Cardi B & Khalid. Ms. Merton continues her rise on the Billboard Alt Radio Top 40 coming in at #10, and is currently #6 at AAA Radio and #7 at iTunes Alternative Charts. The up and coming singer-songwriter recently signed to Mom + Pop Music and earned a major feature on Billboard, which is online now. Her single "No Roots" has already captured an immense amount of attention with over 75 million global plays on Spotify and YouTube. Order your tickets for her upcoming U.S. tour here! Raised in Canada, finishing high school in Germany, then moving on to England with her family, Alice has gotten quite used to packing and unpacking boxes. With her debut single No Roots, she describes the life of having had many different homes, but comes to the realization that her home was never in one place. During her studies she started working with various producers. Finding the right producer is like finding a missing puzzle piece, you know it's there somewhere, but it takes a really longtime to find." However, after being introduced to Nicolas Rebscher, a Berlin-based producer, she knew she had found her match.